Join us for this amazing 14-day trip that combines the best of the best—three days in London, two days in Prague, two days in Berlin, stand-up-and-yell Bible studies on the history of the Protestant Reformation and a Viking River Cruise down the enchanting and elegant Elbe River. You begin your Reformation trip with three fabulous nights in London, England, visiting scores of the top attractions before flying to Prague. After visiting stunning Prague for two days we’ll board our Viking River Cruise and head to Wittenberg, Germany where the Protestant Reformation began. After six days on our cruise, we’ll end our tour with two nights in Berlin, Germany. Compass is a non-profit, non-denominational ministry, we don’t send you on this trip, we take you, every step of the way! To register, download the brochure to the right (red box), fill out the registration and email or text it to Compass! This 14 day Reformation tour begins by flying into London, England for three nights. We'll see all the top sites including a Thames River Cruise lunch. If the schedule permits (it's not released until January!) you'll have the option of visiting Highclere Castle, purusing the sets of Downton Abbey. 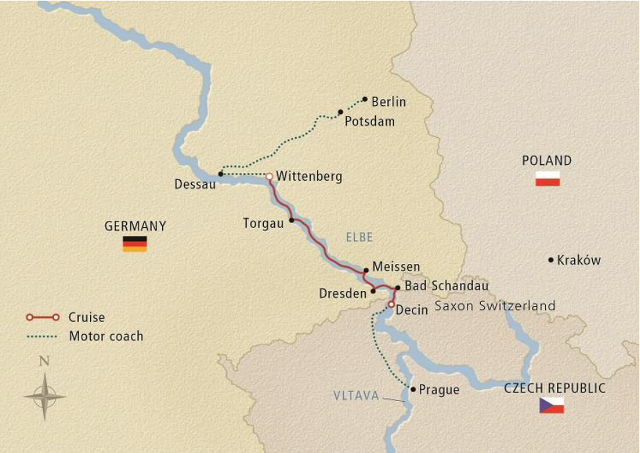 Then we'll fly to Prague for two nights before boarding our Viking River Cruise and begin six days of scenic travel up the majestic Elbe River. Visiting Wittenberg, where Martin Luther began the Protestant Revolution, will highlight our River Cruise. We'll end our picture-taking journey in Berlin for two nights touring the city landmarks by day. And great Bible studies along the way! Compass has been taking Bible trips for 22 years and we're so excited about this trip! We have 20 cabins reserved for this awesome trip and hope you can join us! Depart New York City • Our travel agent will book you from your hometown all the way to London and returning home from Berlin. Arrive London, England • We’ll find you at the airport and transfer you to our hotel. Tour London • London Bridge, Changing of the Guard at Buckingham Palace, Piccadilly Circus, Downing Street, Big Ben, Westminster Abbey, St. Paul’s Cathedral, Tower of London and Thames River Lunch Cruise. Tour London • Stonehenge, Windsor Castle, Bath and Pub lunch in 14th-Century Inn. Optional: Highclere Castle/Downton Abbey set (when their tour dates are released, you will have first option to substitute for Bath and visit the incredible rooms of Downton Abbey). Fly to Prague, Czech Republic • Morning shopping, then transfer to airport for flight to Prague and on to the hotel. Tour Prague • Called the City of 100 Spires, you’ll visit historic city sites including Hradcany Castle, Charles Bridge, Josefov Quarter and Wenceslas Square. 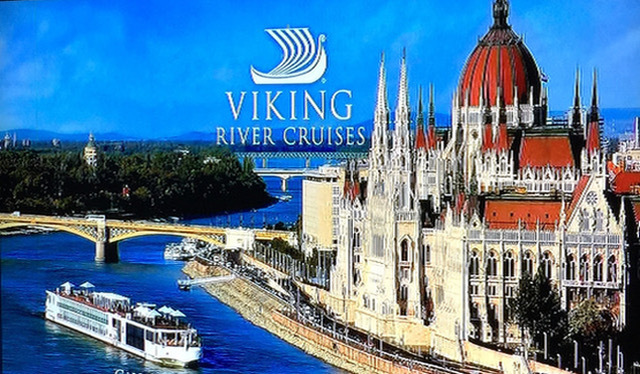 Begin Viking River Cruise • After morning shopping we’ll transfer from our hotel to Decin and board our beautiful ship for our River Cruise. Bad Schandau • We’ll tour Bastei and view the breath-taking sandstone cliffs of Saxon Switzerland. Dresden • We’ll take a city tour of picturesque Dresden including the Semperoper Opera House, the Frauenkirche Church and the Zwinger Palace. Meissen • We’ll take a great city tour, including its famous eye-popping porcelain manufacturing plant that is known worldwide. Wittenberg • Where Martin Luther lived and preached– we’ll visit his residence and have a Bible study at the Castle Church where he nailed 95 Theses to the church’s front door, protesting Catholic doctrines. Disembark Cruise • From Wittenberg, on our way to Berlin, we’ll visit Worlitz Palace in Dessau and a city tour of Potsdam. Overnight in Berlin. Berlin • We’ll take a panorama city tour including visits to the Berlin Wall, Checkpoint Charlie and Memorial to the slain WW2 Jews. Travel Home • We’ll fly home from Berlin with tons of memories!